At its core CBMBA is a club of people who love trails. We love riding trails, hiking trails, building trails, maintaining trails, and sharing trails with others who love trails! We are also a nonprofit, though, and the trails don’t maintain themselves for free. 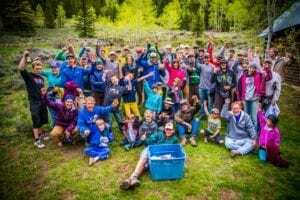 From advocacy to stewardship, from building to maintaining, from signs to switchbacks, from the bike park to the CB Conservation Corps… CBMBA’s goal is to support and represent many forms of recreation in the Gunnison Valley and beyond. If you are for trails, if you are for conservation, if you are for giving back – consider supporting CBMBA. Your membership or donation goes directly to the broad goals and initiatives that CBMBA sets out, and to and fulfilling CBMBA’s mission. Check out CBMBA’s Master Plan, and see what we look to be doing the next 15-20 years. Dig WITH us by becoming a member of the club, by donating, by purchasing gear from the shop, or by volunteering your time.